Spent a lovely hour with friends as I rode along. 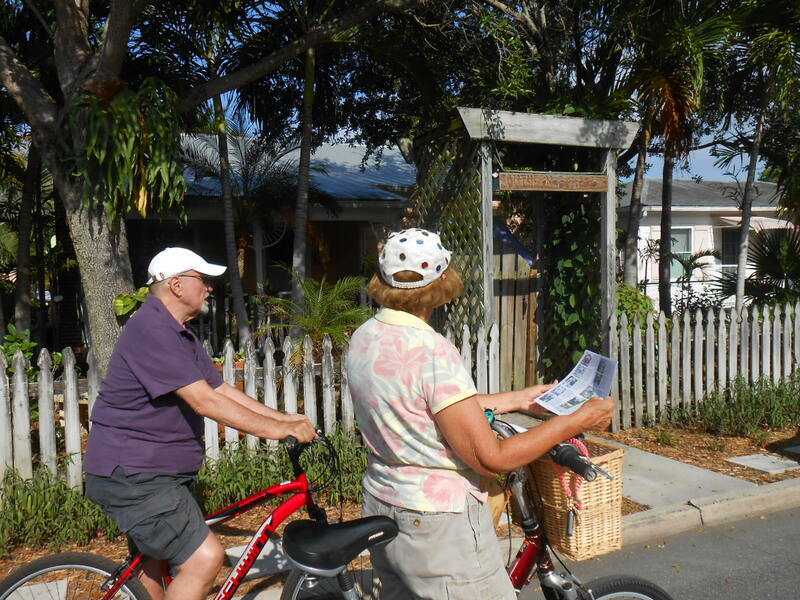 They were determining which of the lovely cottages would be featured on the first self guided bicycle tour b ” The Cottages of Lake Worth”. The route then to be tested out during the Thursday Night Peddlers bike group. Criteria, of course duration, 45 min. to 1 hour., historical significance. They are collaborating with the Relentless Bike Shop on Lucerne where rental bikes are available. It’s an awesome task with the hundreds and hundreds of lovely cottages . The distraction, of course, the other cottages that were just i k cute en route. All the streets are one way in Lake Worth and all have bike lanes. They all have some personal feature that just makes you do a double take. We stopped along the way to chat with some of the home owners who loved to share the history of their cottage. 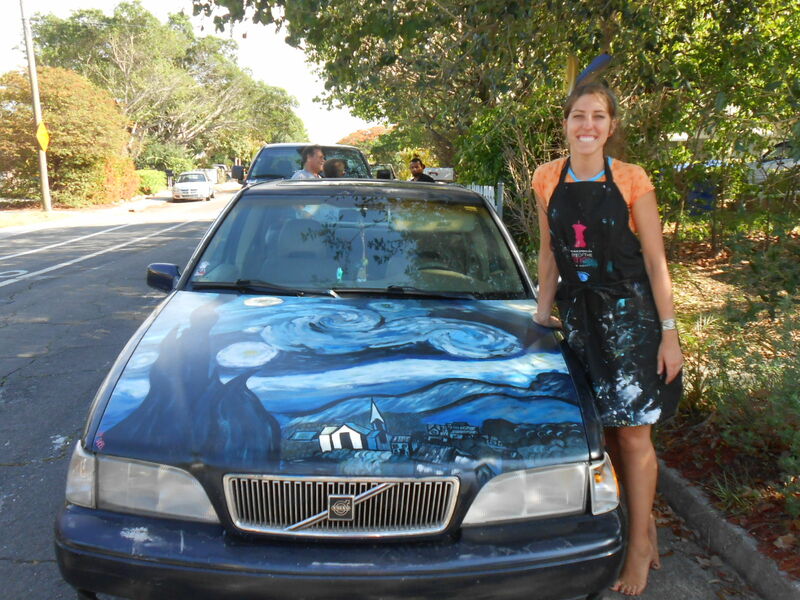 For instance this one right below. 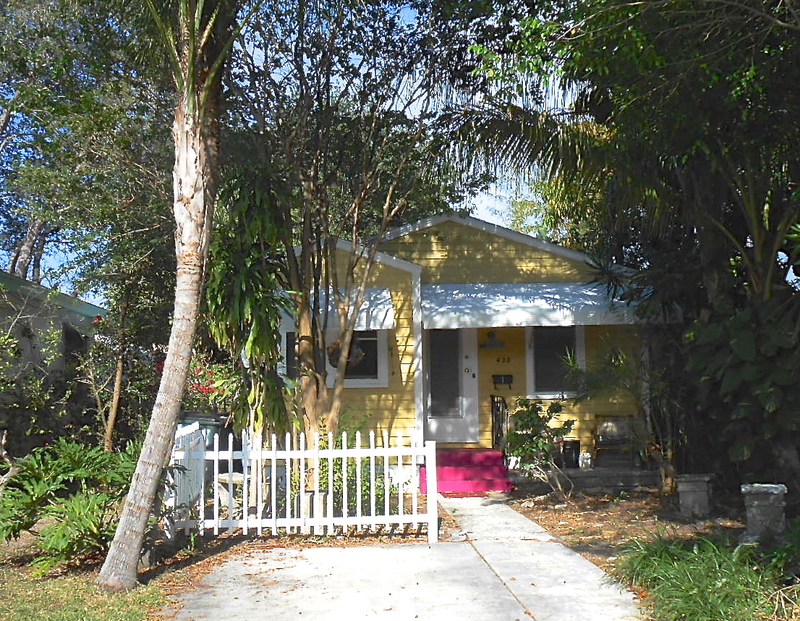 Come to find out the current owner, purchased it from John Sebastian. I knew exactly who that was. “Nashville Cats” “Do you believe in Magic” and of course “Coconut Grove” all by the Lovin Spoonful. Listen to the lyrics, Coconut Grove has no dunes but Lake Worth does. Something for everyone’s taste. Lake Worth Fl. the town with a thousand and one cottages. 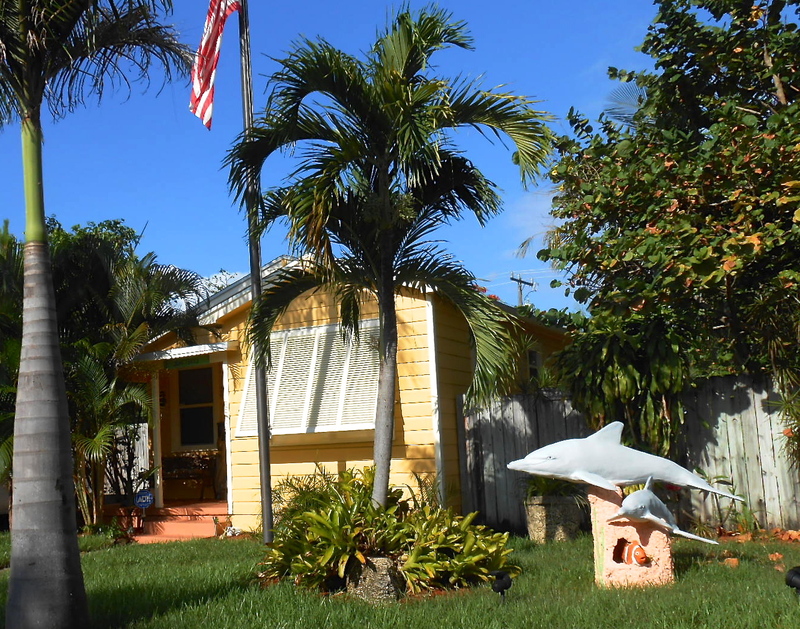 This entry was posted in Armory Art Center Annex, art, art Lake Worth, artfull place, beach town, biking, bungalow, Cottages, living small, seaside, shot gun houses, topical paradise, Uncategorized. Bookmark the permalink.